Breitenbush Hot Springs Retreat and Conference Center is a worker-owned cooperative and community situated in the Willamette National Forest of the Oregon Cascades. Set on a 154-acre wildlife sanctuary, Breitenbush offers comfortable lodging, conference facilities and an array of amenities and activities, ranging from hiking and massage therapy to wellness programs and organic cuisine. Surrounded by majestic mountains and ancient forests and home to a glacier-fed river and several mineral hot springs, Breitenbush provides a tranquil and scenic retreat in which to unwind and relax. Well-being programs are offered on a daily basis and include yoga, meditation, singing, dance, and exploring the history of Breitenbush, and delicious buffet-style organic, vegetarian meals are served three times daily. Other activities include massage therapy, hiking one of the many trails in the area, a meditative walk through the Breitenbush labyrinth, relaxing in the serene space of the Sanctuary, and enjoying free music concerts and performances held at the Center. Breitenbush Hot Springs Retreat and Conference Center also offers comfortable accommodation in a historic lodge. 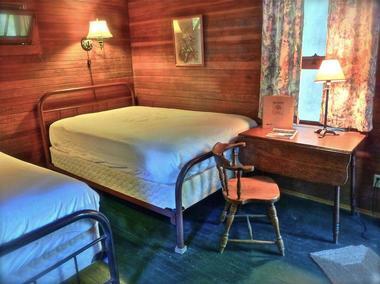 Built in 1930, the lodge at Breitenbush boasts large decks, a cozy dining room, two libraries for reading and relaxing and inviting guest rooms with communal bathrooms. 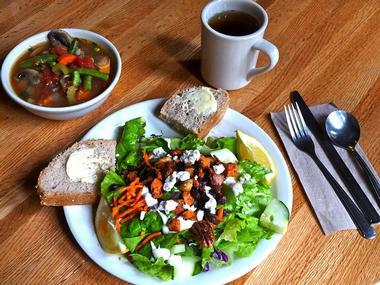 Guests staying at the lodge can enjoy three buffet-style organic, vegetarian meals every day as part of their stay. Breitenbush Hot Springs Retreat and Conference Center offers comfortable accommodations in the form of rustic log cabins tucked away in the forest. Built in the 1930s, the cabins have been fully restored and renovated to present warm and welcoming abodes in which to relax, and include geothermal heating, doubled beds (no bedding supplied), sinks and toilets (some cabins). Communal bathhouses and toilets for men and women are located nearby. Cabin with Sink and Toilets feature one or two double beds and a twin or bunk beds, a bathroom with a toilet and a sink, while Cabins without Plumbing offer only one or two double beds without sinks or toilets. Separate bathhouses for men and women with showers, sinks and toilets are nearby. Male and Female Dorm Cabins offer bunk beds for visitors, with separate bathhouses for men and women with toilets, sinks and showers are nearby. Two small Lodge Rooms are located near the lodge lobby and offer two double beds, while generously sized tents Platform Tents on wooden platforms boast two foam camp mattresses on the floor. There are also forested tent sites and campervan sites available (without picnic tables or fire pits) during the season from Memorial Day weekend until the end of September. Sumptuous buffet-style organic, vegetarian meals are served three times daily, and cater for all dietary requirements., including freshly prepared salads, soups, cold appetizers, hot entrées, decadent desserts and fresh bread and rolls. Breitenbush Hot Springs Retreat and Conference Center offers an array of facilities and amenities for both guests and visitors to enjoy. Well-being programs are offered on a daily basis and include yoga, meditation, singing, dance, and exploring the history of Breitenbush, and delicious buffet-style organic, vegetarian meals are served three times daily. Other activities include massage therapy, hiking one of the many trails in the area, a meditative walk through the Breitenbush labyrinth, relaxing in the serene space of the Sanctuary, and enjoying free music concerts and performances held at the Center. 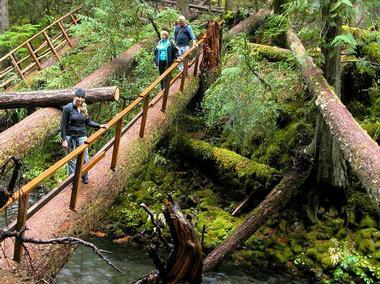 Breitenbush is home to miles of hiking trails in the surrounding forests, including ‘The Gorge,' ‘The Spotted Owl,' ‘Inner Path,' and ‘Devil’s Path’ which meander past river cascades, ancient forest cathedrals, and magnificent mountain vistas. Modeled after the beautiful nave in the famous Chartres Cathedral in France, the Breitenbush Labyrinth is a meditative walk outlined in river rocks and enhanced by the tinkling trickle of the nearby river. The Sanctuary is a beautiful space with large windows and heated floors in which to meditate, relax, engage in yoga or unwind with a book. 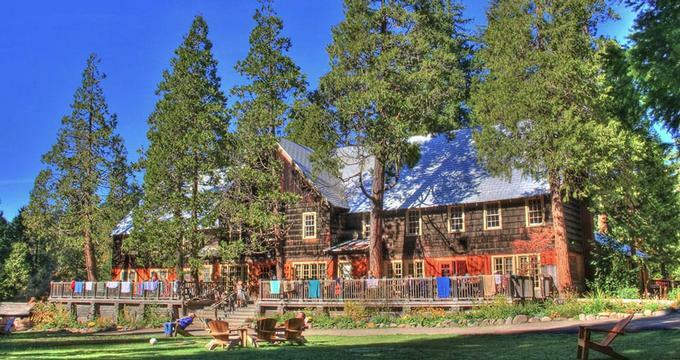 Breitenbush Hot Springs Retreat and Conference Center hosts an array of performances and concerts throughout the year, which are open to all guests and free of charge. A small gift shop on the premises sells an exciting selection of artisan-crafted gifts, books, and writing materials. The Breitenbush Hot Springs Retreat and Conference Center has a Healing Arts Team on hand to offer massages and other bodywork modalities and hands-on therapies to aid physical and emotional healing and profound relaxation.